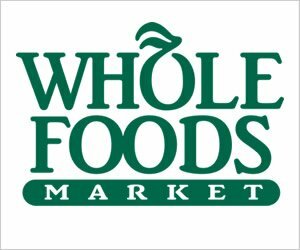 I give Vitamin World Probiotic 10 a 3 out of 5 stars because there are some things I like about it. It goes a little beyond your average probiotic. For one, it uses a prebiotic (inulin) in the formula. This is a great addition because prebiotics act as food for the healthy bacteria (probiotics) and promote their growth in the digestive tract. A second reason I like it is because I just felt good while taking it. I noticed my Irritable Bowel Syndrome (IBS) symptoms like bloating and constipation improved. Third, this supplement is a little more potent and good for short term or for a specific ailment. Last, it doesn’t use any artificial colors, flavors, sweeteners, or preservatives, which I really appreciate and look for in quality supplements. 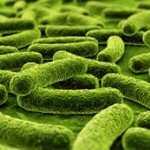 There are a few things to keep in mind with this particular probiotic. One thing that’s a hassle and I don’t like is that you have to refrigerate it once you open it. At least you don’t have to refrigerate it when it’s first sealed, but it just makes it less convenient that you need to keep it cold after opening. 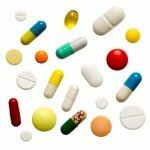 You also have to take 2 capsules per day. I prefer when you only have to take 1 daily because it’s quicker and easier. Another thing is that it’s for adults only and isn’t safe for kids. 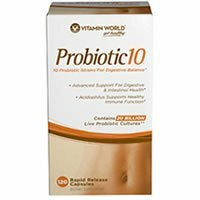 Overall, Vitamin World Probiotic 10 is a slightly above average probiotic and may help some individuals. Each serving of Vitamin World Probiotic 10 (2 capsules) contains 20 billion cells in 10 probiotic strains. I like that they use Bifidobacterium bifidum in the probiotic lineup. This strain has been shown to help boost digestive and immune function. Studies also suggest that it may relieve Irritable Bowel Syndrome (IBS) symptoms, ulcerative colitis, constipation, diarrhea, stomach problems, and eczema. New research shows it may also reduce levels of bad cholesterol. This probiotic strain may alleviate common digestive issues like gas, constipation, diarrhea, and bloating. Studies show it may help balance out the bacteria levels in the body (which can get out of whack such as when taking a course of antibiotics). Research on Lactobacillus acidophilus also shows that it may help treat yeast infections, prevent urinary tract infections (UTIs), and relieve traveler’s diarrhea. Vitamin World Probiotic 10 has one main allergy concern. If you’re allergic or sensitive, definitely keep this in mind. It also contains gelatin, which isn’t as popular of an allergy but certain people do have some issues with it. Other than that, this probiotic is very allergy friendly. The capsules are free of soy, gluten, wheat, yeast, fish, starch, and sodium. As a perk, it’s also free of artificial colors, flavors, sweeteners, and preservatives. A bottle of 120 capsules will last you 2 months and cost you $28.99. Since you take 2 capsules daily, it works out to $0.48 cents per day. This is actually really affordable, especially for a more potent probiotic. I would buy this supplement again and I think it’s a good value for the price. Surprisingly, I didn’t see any negative side effects when taking this probiotic. 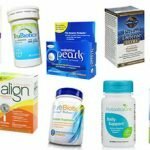 I say surprisingly because often times with more potent probiotics I tend to see some belly pain or bloating for the first few days. However, I was good to go with this particular supplement. I actually felt pretty good the whole time I took it. Vitamin World offers a fantastic guarantee to their customers. If you aren’t completely satisfied with the product, you have 90 days from the date of purchase to get your money back. I’m so excited to see this guarantee in place. Kudos to Vitamin World for standing behind the quality of their products. To buy Vitamin World Probiotic 10, click here.